From World Car Fans Sorry if you do live in Finland. Not saying its a bad place to live. Just expensive. More expensive than here in the US. "A Nissan dealer in Finland announced today that the pricing for the Nissan GT-R will be set at an astronomical €147,700 including taxes (base price announced by Nissan is Euro 75,000), equivalent to $235,000 which is an amazing four times more than the official US pricing of $69850." "Obviously we cannot be sure how much of the €72,700 premium over the €75,000 base price is tax and how much is lining the dealer's pockets and it is unlikely that the dealer is going to tell us. And let us not forget the poor Europeans are paying in excess of €1.50 per liter of petrol(gasoline) – equivalent to $10.70 per gallon." I live in Finland and have ordered a GTR. I just wanted to point out that we have got used to these extreme car prices over the years. For example Audi R8 costs 201.000€, Ferrari F430 F1 about 350.000€ and so on... The reason is very high car taxes. Beginning this year, the taxation got even worse as it is tied to co2 emission. For example R8 price got up about 20.000€ over night. 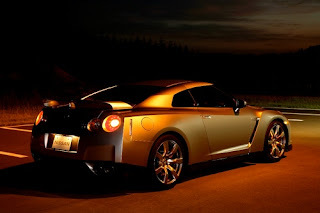 It is assumed about 10-15 GTR's will be sold in Finland. Seven has already been ordered. I feel for you guys. People here in the US are complaining heavily about $4 a gallon gas. About $1.05 a liter.